After nearly 20 years of wrangling over what is and is not legal under California's 1996 Proposition 215 medical marijuana law, the state legislature has passed a set of bills designed to bring order to the chaos. Fresh from working with the office of Gov. Jerry Brown (D) on acceptable language, the Assembly and the Senate Friday passed Assembly Bill 243, Assembly Bill 266, and Senate Bill 643 just hours before the session ended. If, as expected, Gov. Brown signs the bills into law, the medical marijuana status quo, rife with ambiguities, contradictions, and grey areas, will be transformed into a robust, strictly regulated medical marijuana industry. It won't always be painless, and there will be winners and losers. The general consensus -- although not universal -- is that patients will benefit from the package of bills. They will gain access to quality-controlled medical marijuana through unambiguously legal means, and even though localities will retain the ability to ban dispensaries, patients will now be able to have their medicine delivered anywhere in the state. Growers who seek the security of legality also stand to benefit. They will be able to come out from the shadows, pay their fees, get their licenses, and go about their business. But growers using the ambiguity of the state's current lack of regulation as a cover for grey or black market production will probably find their wiggle-room decreased. A similar dynamic will be at play in other sectors of the industry, including some that have operated in the open throughout the years. "Big Marijuana," that favorite bogey-man of prohibitionists, doesn't fare so well. There are constraints on vertical integration within the industry, and the licensing scheme foreseen is tilted toward small and medium producers. The bills will once and for all clarify to law enforcement that licensed medical marijuana producers and activities "are not unlawful under state law and shall not be an offense subject to arrest, prosecution, or sanction under state law, or be subject to a civil fine or be a basis for seizure or forfeiture of assets under state law." 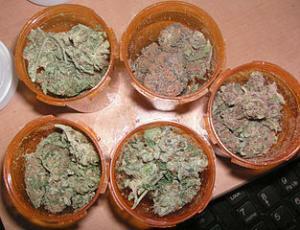 The bills also clarify that medical marijuana can be a profit-making and -taking industry. Some local law enforcement and prosecutors have used making a profit as a basis for charging medical marijuana operators. Now, no more. Patients and caregivers maintain their Prop 215 rights to possess and grow their own medicine, but collectives will be phased out, and anyone who wants to grow more than a personal amount will need a license. The bills provide for 12 different types of licenses, for "specialty," small, and medium indoor, outdoor, and mixed-light commercial grows; manufacturers, testers, transporters, distributors, and dispensaries. "This is an important and inevitable step forward. 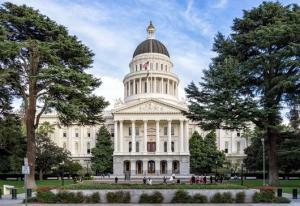 It finally lays the groundwork for a legally regulated medical cannabis distribution and production system in California," said Dale Gieringer, longtime director of California NORML. "There was a pretty broad coalition of groups that contributed to the process of drafting the bills and who managed to more or less concur on the final thing, despite some reservations," he said in something of an understatement. Getting the package passed required the juggling of many moving parts, not only in the state legislature and executive branch, but in balancing the interests of groups ranging from state law enforcement and local government associations to the various interest groups within the medical marijuana industry -- patients, growers, dispensary operators, manufacturers, distributors -- as well as groups, such as those concerned with environmental degradation, who see themselves impacted by the medical marijuana industry. Making sure the proper balance was reached is going to require careful scrutiny and ongoing monitoring of rulemaking and implementation, Gieringer said. "This is a really complicated piece of legislation, and we're combing through it carefully, looking for possible glitches," he said. "There are some problematic details, but most of the potential glitches are in the future. It's going to take at least a year for this to ramp up, and there's a new agency that has to be up by January, and we're now also going to have all these local governments starting to take a look at this and deciding what they want to do. There are hardly any jurisdictions in the state that recognize commercial cultivation, but there are probably 40,000 people doing that now. How many cities and counties are going to act to recognize and ally themselves with the growers they're already harboring?" That's something Hezekiah Allen is wondering, too. The son of Mendocino County pot farmers, he's followed in their footsteps, but has now traded farm apparel for suit and tie as chair and executive director of the Emerald Growers Association, and was deeply involved in the sausage-making around the bills. They were overdue, he said. "Regulation is never an easy thing to transition to, but there has been a decades long crisis due first to prohibition and then to the unregulated nature of this industry, and at the end of the day, we took a monumental and historic step toward bringing some order to this industry and creating stronger communities," he said. "It's a pretty amazing thing." Not only does the legislation treat marijuana growing as an agricultural issue and address questions of direct relevance to producers, it also seems to support small and medium producers, Allen pointed out. "We only ever wanted to be farmers -- that's how we should be regulated -- and cultivation is pretty firmly in the agriculture category," he said. "We also really believe in decentralized economies and small, sustainable agriculture moving forward. This legislation outlines specific policy tools to license small and medium producers, but not large ones. That's a real bias toward small and medium producers." Allen also pronounced himself pleased that the legislation allowed for addressing things like standards for what can be called organic and standards for pesticides. "There is a mish-mash of state-federal policy challenges, one example being organic standards," he said. "It's really challenging for us to label anything as organic given that the FDA 'owns' the term, but the state already has the Organic Produce Act, which created provisions that gives us authority to develop organic standards, and this legislation takes that another step forward." It's a similar issue with pesticides, Allen said. There are no guidelines for pesticides with medical marijuana because the federal government hasn't established them, but the legislation encourages state regulators to develop guidelines. "We called for this," he said. Americans for Safe Access (ASA), the country's largest medical marijuana advocacy group, was also deeply involved in the work in Sacramento. "We think the regulatory bills are mostly good," said ASA press secretary Chris Brown. "We've researched licensing and regulation in the past and found it perfectly compatible with patient access. We also think it's very important to have a system in place for medical marijuana before adult use comes in, so it won't be seen as the unregulated part of a broader market." ASA wasn't happy with everything, though. "There was a late provision added that sets a maximum 100 square feet of cultivation space per patient," Brown noted. "We didn't know about that and we don't like it." And there will be ongoing concerns as the regulatory rulemaking process takes shape. "There are a lot of issues around vertical integration, and there are things we're going to have to monitor closely to see if they create problems moving forward," Brown said. "We will monitor things as they move forward, and we'll be very active in rulemaking and implementation. We have a lot of experience with that in other states, and our activists are great in terms of getting their voices heard." Some other voices from the medical marijuana community are even less happy. At Harborside Health Center in Oakland, the state's largest dispensary, executive director and cofounder Steve DeAngelo "welcomed" the legislation, but had some "concerns." "Harborside welcomes the long overdue enactment of statewide medical cannabis regulations -- almost two decades after Proposition 215 called for them," said DeAngelo. "However, we are concerned that time pressures made it impossible for legislators to adequately consider the impact of the new regulations on medical cannabis patients and the organizations that serve them. In addition, some of the language in the bill is unclear or may be in conflict with prior legislation. Harborside looks forward to working with lawmakers next session to address and resolve these outstanding issues." And Steven Kubby of the American Medical Marijuana Association is threatening to sue over what he calls the "hijacking" of Proposition 215. "Our medical cannabis rights, protected for nearly 20 years by Prop. 215, have been hijacked and Prop. 215 is under attack like never before. The new law is an unacceptable and illegal infringement on our rights under Prop. 215," said Kubby. "I'm getting calls from frightened patients who fear their own state government is planning on going after cannabis doctors as if they are some sort of dangerous threat that must be carefully supervised. Sick people cannot handle this kind of stress. Thousands of patients will die because of this calculated attempt to thwart the will of the people and deprive them of medical cannabis and the doctors who write recommendations to use the healing herb," he added. Kubby cited the 100 square foot patient garden limit, provisions that allow localities to ban medical marijuana activitiies, and new restrictions on medical marijuana-recommending doctors. Clearly, there remains work to be done. Potency and purity standards haven't been set yet, the dual licensing structure with both state and local permits hasn't been settled, and lots of issues remain to be hashed out by state officials charged with writing regulations to implement the bills. And the critics need to be addressed, assuaged, or proven wrong. 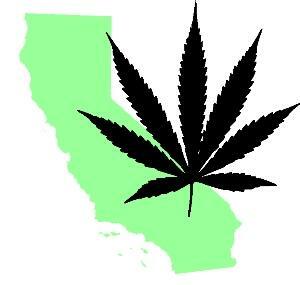 But California's billion dollar medical marijuana industry is about to come in from the cold. Just what do they consider Big? The article says ""Big Marijuana," that favorite bogey-man of prohibitionists, doesn't fare so well. There are constraints on vertical integration within the industry, and the licensing scheme foreseen is tilted toward small and medium producers." If this is small to medium, what do they consider big? Remember, we are talking about MEDICAL cannabis, not commercial adult marijuana use. Thanks to California activists for leading leading the way and to Phil Smith for reporting it. I look forward to the explanation about the grow size licenses.